I got the boat to the Simonos Petra landing. A merchant in Daphni gave me a bag of fish to bring along and a letter. Fortunately, he said to leave the fish at the dock. The climb, over a thousand feet straight up in the noonday sun, with my bag on my shoulder, was a real workout - purgatory on the way to heaven. The monastery itself is quite cool, catching the mountain breezes. It is very well kept. I received a cheerful welcome from the guest-master, Father Theologos, and was given a room that looks out on the courtyard and the katholikon, the main church of the monastery. I hope I will be able to stay here. Silence reigns here except for the birds, the wind and the water. Contemplative silence described in O Holy Mountain! - Journal of a Retreat on Mount Athos by Fr. M. Basil Pennington (1931–2005), who was a Trappist monk at St. Joseph's Abbey, Spencer, Massachusetts, as well as a spiritual writer and teacher. The Monastery of Simonos Petra (literally Simon's Rock) is an Eastern Orthodox monastery in the monastic state of Mount Athos in Greece. Jade, the French label that brought us The CD that nearly got away, has recently released a disc of Orthodox liturgical chant sung by the monks of Simonos Petras. The atmospheric recording was made in the monastery church at Simonos Petras by a Greek studio (Echogennisi of Trikal) in 1990 and has been licensed by Jade. There is a lot of musical and spiritual nourishment in Hymnes du Mont Athos; but two things in particular struck me. First was the raw, unrefined and engaging quality of the the singing. This is a useful reminder of the dangers of the increasingly common practice of taking the superficially appealling essence of non-Western (and also early) music and presenting it in a sanitised form complete with Pro Tools-style polishing. It all seems to be part of the current obsession for 'completing': but what we need are virtuosos audiences who are prepared to listen outside their Western art music comfort zone, not a new genre of glossy 'world art music'. Having said that, the blemish at the start of track 1 of Hymnes du Mont Athos is unfortunate. You don't need Pro Tools to know that the leading edge of the first entry is somewhere on the digital equivalent of the editing room floor. The second thing that struck me was how much these Orthodox liturgical chants share with sacred music from other faiths. 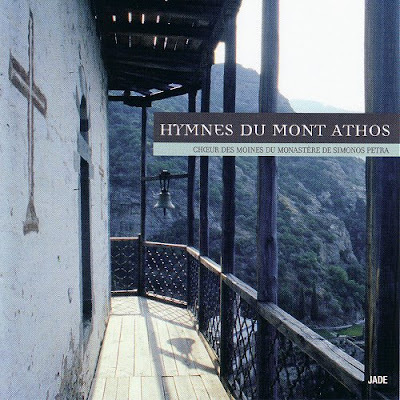 Listening to Hymnes du Mont Athos was a reminder that the spiritual distance from Mount Athos to Vajrayana Buddhism and the Mevlevi lodges of Turkey is not that great. And that realisation brings this path full circle. Among Fr. 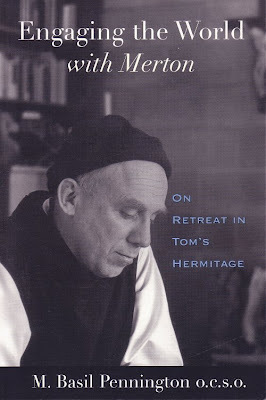 M. Basil Pennington's other books is Engaging the World with Merton, a journal of the time he spent on retreat in Thomas Merton's Kentucky hermitage. Thomas Merton practiced active inclusiveness, a sharp contrast to the largely ineffectual passive inclusiveness driven by legislative rather than humanitarian dictates that is all pervasive today. Amiya Chakravarty (1901-1986), academic, Bengali Poet, and close associate of Rabindranath Tagore, closes the circle in his introduction to that hymn to inclusiveness, The Asian Journal of Thomas Merton. Merton sought fullness of man's inheritance; this inclusive view made it impossible for him to deny any authentic scripture or any man of faith. Indeed, he discovered new aspects of truth in Hinduism, in the Madhyamika system, which stood halfway between Hinduism and Buddhism, in Zen, and in Sufi mysticism. His lifelong search for meditative silence and prayer was found not only in his monastic experience but also in his late Tibetan inspiration. His major devotional interests converged in what he called "constantia" where "all notes in their perfect distinctness, are yet blended in one" ... Not only in religion and religous philosophy but in art, creative writing, music, and international relations - particularly in a possible world renunciation of violence - he knew the challenge of reality. 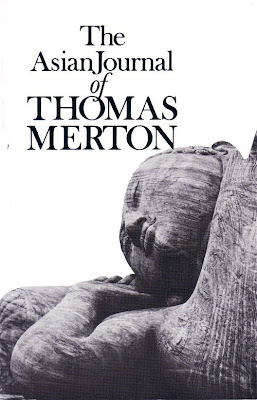 Thomas Merton's poetry set by John Jacob Niles is here. * Fr. 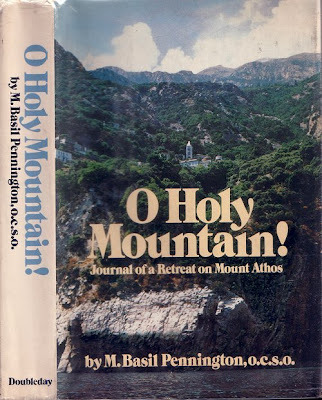 Basil Pennington's book O Holy Mountain! is out of print. But it appears to have been republished under the torturous title, The Monks of Mount Athos: A Western Monk's Extraordinary Spiritual Journey on Eastern Holy Ground. Another book which has given me a lot of pleasure is a print on demand title, Mount Athos: Renewal in Paradise by Graham Speake, it is notable particularly for its beautiful colour photographs. - from Mount Athos –Renewal in Paradise by Graham Speake. Surely this is the same as "Simon Peter", the rock upon whom the Christian church was to be built, according to the New Testament?